The installation of all purpose sport facilities is becoming increasingly popular; we work as MUGA court specialists to install these versatile surfaces at a variety of locations. Some of our most common clients include schools, colleges, universities and sport clubs who are looking to offer a range of different sports and activities to students or members of the local public. Surface specifications that we generally use for multi use games areas include porous macadam, polymeric EPDM rubber and synthetic turf. Each of these provides unique playing qualities which are suitable for a multitude of sports. Macadam and polymeric surfaces are ideally suited to sports like tennis, netball and basketball, whereas 3G synthetic grass is perfect for football and rugby. We also offer a Multisport synthetic carpet which is a needlepunch specification that provides some of the most versatile playing qualities. 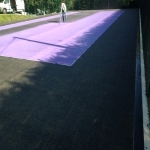 To learn more about multisport synthetic surfacing click here http://www.muga.co.uk/surfaces/multisport-synthetic-turf/ Schools often have these surfaces installed where there is limited space so that students are able to enjoy lots of different sports and games. 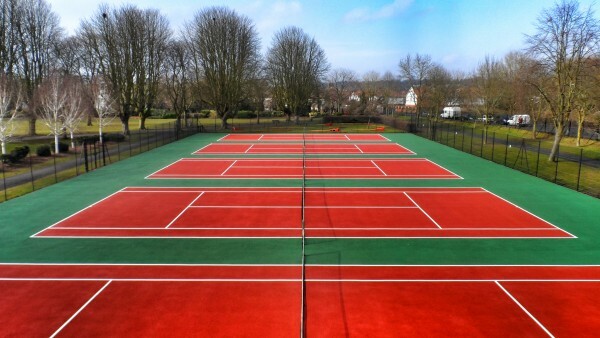 In order to create multi-use properties, our MUGA specialists will apply line markings for each activity in a contrasting colour. These will be painted onto the hard court surfaces and inlaid on the synthetic carpet designs. A MUGA is a sport facility and surrounding areas, otherwise known as a multi-use games area, which a number of different activities may be carried out on. 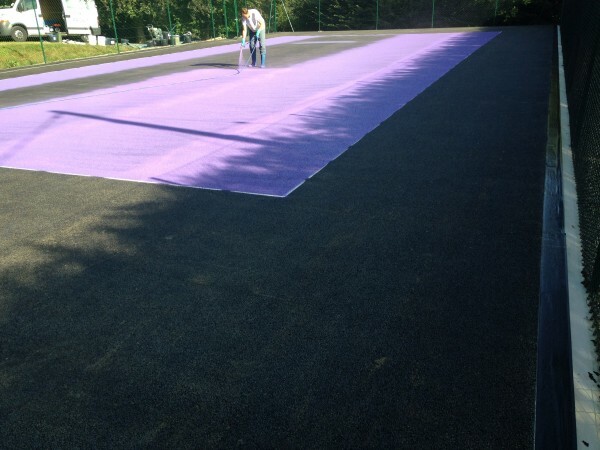 There are a number of surfacing types which can be used for MUGA facilities including macadam, polymeric, synthetic turf and needlepunch. It is important to think about the sports you want to play on the facility before you decide upon the type of surface to install. Our consultants can help you if necessary. To learn more about our consultants, please click here http://www.muga.co.uk/design/consultants/ Different surfaces will have different performance characteristics making particular surfaces better for specific sports. Multiple sport markings will be installed onto a multisport area in various colours so that the players can distinguish between the different sports. In addition to the construction of multipurpose sport courts, we also offer a number of other services as multi-use games area contractors. If you are looking to build a complete facility, we can include a range of extra features and equipment with the sport surfacing construction. These include secure rebound fencing in a variety of designs and heights, and floodlighting columns to suit numerous levels of use. For more info on floodlights please click here http://www.muga.co.uk/services/floodlights/ Having these additional extras installed can boost revenue at your organisations by allowing you to rent out the facility to local clubs and teams in the evenings. We always advise having a routine maintenance plan set up for your sport court and surrounding areas, whether it’s a hard surface or synthetic turf carpet. Our multisport facility specialists will complete this work to help you look after the facility and keep it in top condition. The cleaning and maintenance for multi-use games areas often includes pressure washing, reapplication of anti slip paint, and sand infill rejuvenation. It is recommended that you complete regular checks to assess for any damage upon the court so that these can be repaired. Our team are always happy to help our clients, so if you have any worries or concerns please do not hesitate to get in touch. 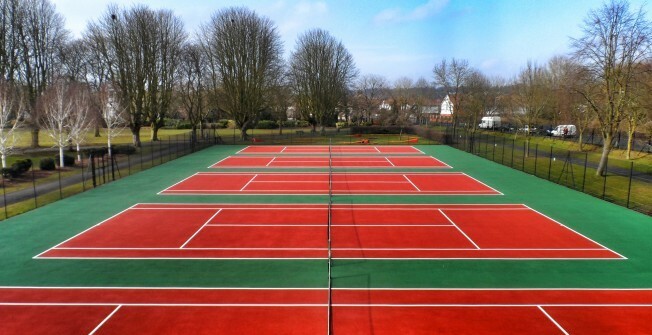 We can offer you more information on the different MUGA surface types that we have available to install if necessary. Simply fill in our contact form and one of our MUGA court specialists will get back to you at the earliest convenience.